It’s hard to reconcile the Mazda car company that Ford Motor acquired a 35% share of in 1996, when Mazda was sort of bumping along the bottom, to the confident, globally successful company it is today. Ford sold down its holding by 20% in 2008, which meant it surrendered its effective control of the company. Ford retains 13.4%, which means it gets dividends from what is now one of Japan’s most profitable car companies. 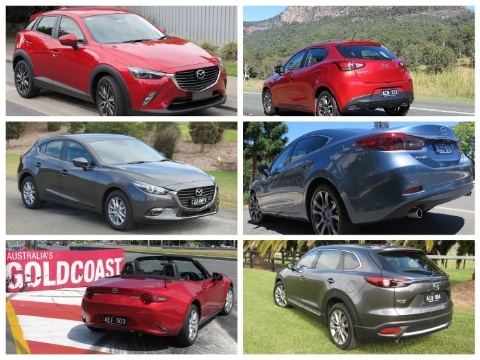 In Australia Mazda vies for number one, but seems content to be a consistent Number Two or Three in the sales race. 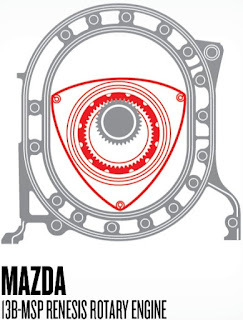 The magic word at Mazda Australia is ‘margin’; it does not appear to want to chase mass volume. Its April sales show it’s keeping pace with the 2016 results Year-to-Date; but a wider dissection of the 2017 sales data shows that in effect each of its models has plateaued, until the launch of the much-revamped CX5 SUV this month. That event proved the old car industry adage that to stay among the leaders, companies need a constant flow of new, attractive products. Consumers are fickle, and with car affordability at record levels, they will pick and choose, confident that whatever they buy today, it will be safe, reliable, and competent. For me, the main attraction of the Mazda products is the investment in design, engineering and innovation, whilst to some degree eschewing a lot of the very intrusive technology which most companies lavish on their cars; and ‘soak the customers’ with option pricing. Remember this is the company that persevered with developing the Wankel rotary engine, very successfully. Using this powerplant Mazda competed in the 24 Hours of Le Mans, with distinction - although the noise of the Mazdas changing gear just as they passed the pits was truly abominable. I think Mazda scores with many buyers because of the outstanding dynamics of its cars and SUVs. It has evolved its segment offerings with the current Kodo design aesthetic, and its SkyActiv technologies, resulting in lighter, stronger cars, delivering greater fuel efficiency and real driving pleasure. Yes, I hear you say, other car companies are doing the same thing, so what makes Mazda different? I think Mazda has discovered a mojo that is delivering consistently on many fronts – engineering, design, driving dynamics and quality. Thinking back over the range of Mazdas I have driven in the past year and a half and I would be happy to have any one of them in my garage – that is if I actually ‘liked’ SUVs – but the issue is the same – they are outstandingly good cars and Mazda well and truly deserves its strong position in the global car maket.